Why Choose Live In Place? Over 2,000 satisfied clients as well as scores of case managers, geriatric care managers, and other trusted senior advisors making referrals agree: Live In Place is the number-one most preferred provider of custom home modification and mobility solutions in Northern Virginia and the Washington D.C./Maryland metro area. Before any installation, Live In Place conducts an evaluation by Certified Aging-In-Place Specialists and occupational and physical therapists trained in mobility and accessibility options. Our “Best in Class” results ensure your peace of mind that the home modifications are right for your loved one, improving safety while retaining their independence. Before modifying your home, there are critical considerations – not widely understood – prior to any purchase of equipment. Each situation is unique. For example, installing a stair lift to suit your loved one the right way involves much more than simple mechanics – a handyman or installer assembling parts and turning screws. A stroke survivor will have different safety and comfort requirements for a stair lift than, say, someone with only overall body weakness from simple aging. 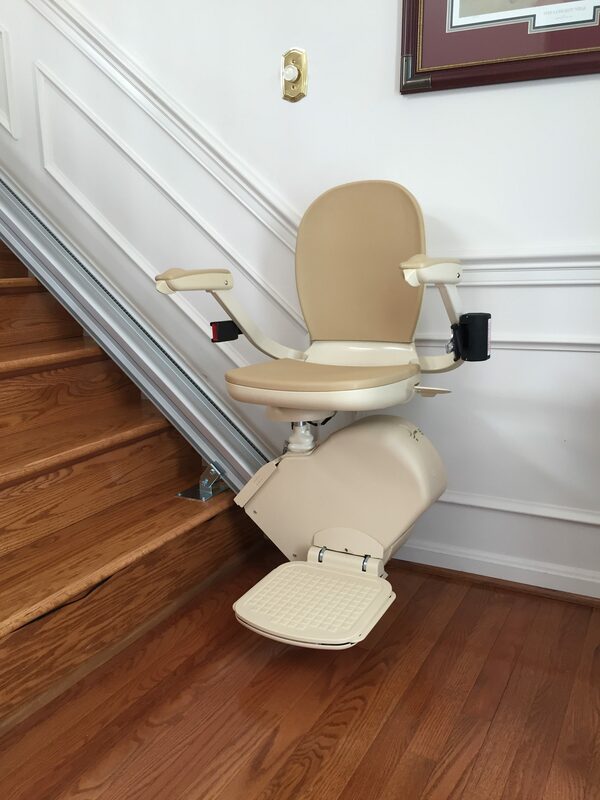 Upon evaluation, Live In Place then makes recommendations on what type and model of stair lift would be best, the choice of seat, how high or low to position the seat and the track at installation, which side of the stairway the lift should be on, and other unique considerations best assessed by a medical and therapeutic professional. Live In Place uses this same therapeutic approach for other home modifications, including the installation of home entrance and exit ramps, other types of lifts, grab bars, and bathroom safety solutions. For more information, contact Live In Place at (703) 433-0380 or request a consultation. Call To Request A Consultation Today! As a result of the compassionate care we deliver, we develop lasting relationships with our clients. Here are some of the glowing testimonials we’ve received. Live In Place is excited to bring you the latest information about mobility, accessibility, and safety for you and your family in your own home. Copyright © Live In Place. All Rights Reserved. Live In Place provides home mobility and accessibility solutions to clients and families suffering from conditions such as arthritis, cardiac/COPD, neck & back conditions, stroke & TBI, and MS/Parkinson’s/ALS. Our accessibility solutions include Stair Lifts, Modular Ramps, Stairways, Bathrooms, Entrance Modifications, and Remodeling Designs.